ESO update 1.8.0.1 for Xbox One is now available for download. The latest big The Elder Scrolls Online update 1.8.0.1 for Xbox One brings bug fixes and other game improvements. The update also brings first chapter: Morrowind. In addition, the new update introduces the first new class since ESO launched: the Warden. This class is an adaptable, support-orientated option for players who want to be able to fill a specific role while simultaneously providing assistance to others. This new class uses the wilds of Tamriel to protect, heal, or deal damage the Warden is for you. Check out more details below. Additionally, The Elder Scrolls Online update 1.8.0.1 for Xbox One added a notification and UI button at the bottom of the character select screen that will bring you back to this registration screen when you wish to upgrade. We’ve updated the Cyrodiil Leaderboards rewards with this The Elder Scrolls Online update 1.8.0.1 for Xbox One. Now, you will receive jewelry from the item sets listed below for placing on the leaderboard, or for your Alliance being in first place. Added a new settings category, “Combat”. This category includes combat-related UI elements such as “Combat Text” and “Resource Numbers”. Added a new section to the Collections menu called “Stories”. This section includes both DLC and Chapters. 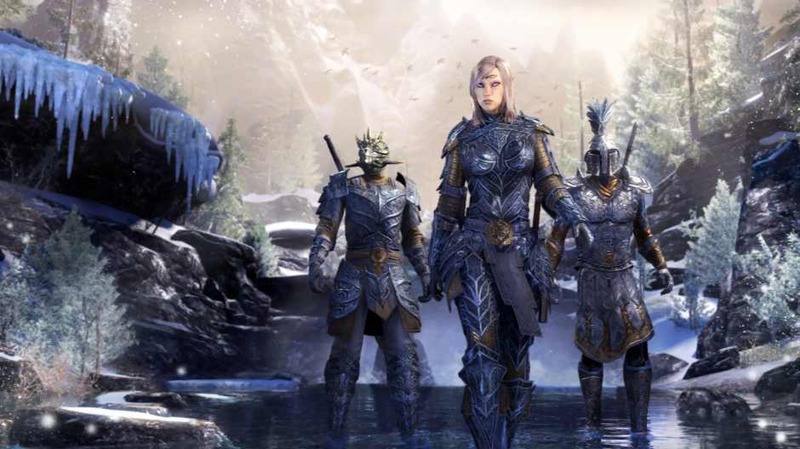 The size of this The Elder Scrolls Online update 1.8.0.1 is approximately 32.62GB if you’ve played since our last update, and 46.78GB if you are installing the full game new. Check out full game changelog here.